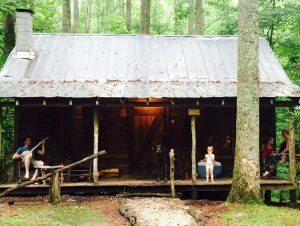 These vacation cabin rentals in the Appalachian Mountains are conveniently nestled between historic Saluda and Asheville, North Carolina, just off I-26 on Hwy 176. 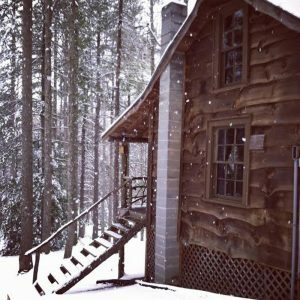 Cabin Fever is the ultimate Blue Ridge mountain getaway with seven charming rustic cabins (five now with king beds). Each cabin has its own unique decor. 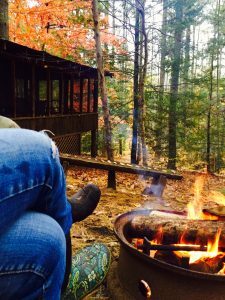 Sit in a rocker on your private screened porch and enjoy nature to the fullest. 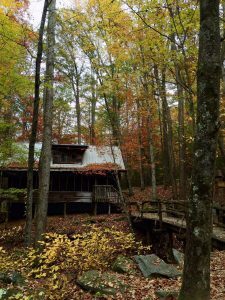 Explore the horseshoe pit, water wheel, and pond, and enjoy the zip-line, swings, campfire and barbecue grills. Take a hike along the trails or by the stream. You will feel as if you have stepped back in time. 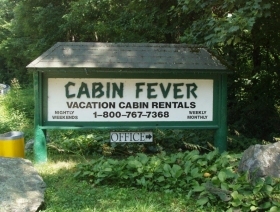 Cabin Fever is perfect for a romantic weekend or memorable family vacation. Friends, social clubs, corporate and church groups often rent the entire place!